For many months designers and developers of FH Joanneum Graz had been working on the realisation of the interactive digital catalogue. On the occasion of the first Human Cities exhibition opening in Milan visitors and participants were able to use the catalogue app for the first time. 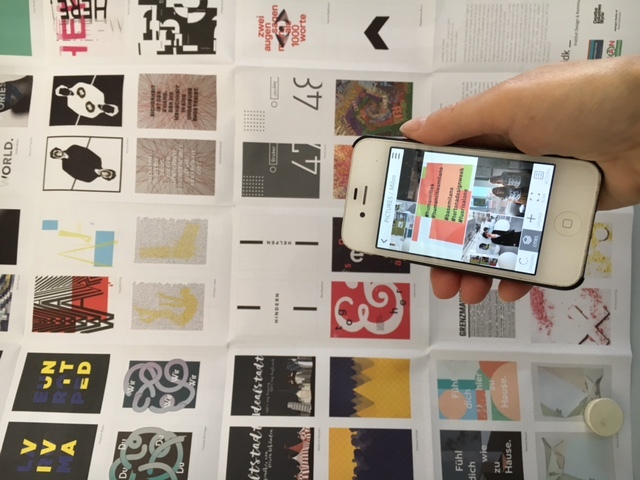 The general idea of the app is to create a dynamically growing catalogue for the Human Cities exhibitions. Everyone who wants to participate in theses events can easily download the app on their smartphones, take pictures or videos, write remarks, upload their special moments directly in the app and share their experiences. The smartphone app is available for Android via Play Store and iPhone via App Store and can be found under the reference name HUMAN CITIES CATALOGUE.